Measles is back from near extinction. In New York City, 285 cases of the disease have been confirmed since October 2018. In contrast, there were only two reported cases in 2017. In response, Mayor Bill de Blasio held a news conference declaring a public health emergency to declare that unvaccinated persons in affected areas must get the vaccine or face fines up to $1000. Those faced with fines must provide evidence of immunity, such as having previously had the measles. The measles virus is highly contagious and can lead to serious incapacity, including blindness, and even death. 21 people have been hospitalized. The majority of the cases are children. New York City officials, including Mayor Blasio, attribute the outbreak to “misinformation” from vaccine opponents. A growing and vocal movement opposes vaccines on the basis that ingredients in vaccines can cause autism or other disorders. The rumor began in 1998 from a study conducted by Andrew Wakefield, but the study was retracted in 2010 after medical groups concluded that Wakefield had manipulated data and failed to disclose that he had been paid by parents suing vaccine manufacturers. 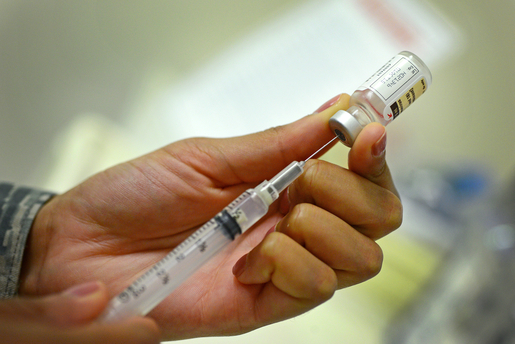 New York City is not the only measles infected area in the United States. The Center for Disease Control reports there are 465 cases in 19 states so far this year, including New Jersey, California, Michigan, Missouri, and Washington state. Ironically, the federal government had declared measles eliminated from the country in 2000 thanks to vaccinations, but cases skyrocketed as vaccination rates declined since the century began. What are the Individual Rights of Vaccine Opponents? On the other end of the ideological spectrum, there are some seeking legal protections from vaccinations. State and county officials in Rockland, New York attempted to ban unvaccinated children from many public areas, including schools, restaurants, places of worship, and shopping centers. The exclusion orders were to take effect on the last week of March following confirmation that there were 153 cases of measles in the county since October 2018. Officials suspect that number may be higher as residents often refused to answer questions or respond to county officials. Parents of the unvaccinated children have challenged the order in federal court, but so far the judiciary has declined to lift the orders. Meanwhile in Missouri, Representative Lynn Morris proposed a bill to prohibit vaccine discrimination for children who have received exemptions from vaccinations for medical reasons and religious beliefs. Missouri House Bill 711 would prohibit a school or college, day care, or physician’s office from discriminating against a child because he or she has received a legal exemption to immunization requirements for medical or religious reasons. To be clear, the bill wouldn’t create a new exemption to the state’s vaccination laws, but would prevent physicians and daycares from denying service to children and parents with existing exemptions. Can We Balance the Health of the Public and Individual Rights? The anti-religious discrimination exemption is unsupported by existing law and potentially dangerous to public health. The United States Supreme Court ruled over a century ago that states could mandate vaccinations without a religious exemption. Although the present-day Court is more conservative when it comes to religious rights, there is still no justification for a religious exemption from vaccinations. Declining a vaccination is not a requirement for any religious practice. Forcing a daycare or a school to take in an unvaccinated child would put other children in danger, especially if the children were exposed to a potentially fatal disease such as measles. This threat is not hypothetical. During early 2015, 159 children were stricken with measles at the Disneyland theme park after being exposed to unvaccinated persons from other states and countries. A medical exemption from vaccines is much more persuasive. The purpose of vaccinations is to protect children from otherwise difficult or impossible to cure diseases; children who may be endangered by a vaccine should be exempt from it. However, the current standards for legal medical exemptions are much higher than the opponents of vaccinations have. Most states with medical exemptions for vaccines require medical documentation from a licensed physician and the exemption is only good for specific vaccines. Moreover, licensed physicians who exempt children from a vaccination are accountable to the state should any complications arise. Missouri House Bill 711 is particularly offensive as it confuses discrimination based on a protected class with discrimination because of conduct. Discrimination based on race, gender, or sexual orientation is prohibited by law because they not traits that are easily changeable by the individual. In comparison, refusal to take a vaccine is a behavior that is completely within the control of the person refusing the vaccine. In those instances, the state has every right to isolate persons who could pose a threat to the general public. The thornier issue is that the state may also be required to quarantine unvaccinated minors. Children cannot control whether their parents will allow them to get a vaccination, but they are the ones most likely to suffer if the state imposes an exclusion order on them. However, the effects of emotional and mental public exclusion are not comparable to the risk that other children could become infected by the diseases unvaccinated children may carry. If exclusion were truly a top concern, then the parents should either allow their children to be vaccinated or consult a licensed doctor if they have any real concerns about health issues that vaccination may have on their child. Relying on internet research is simply not enough when it comes to life and death matters.